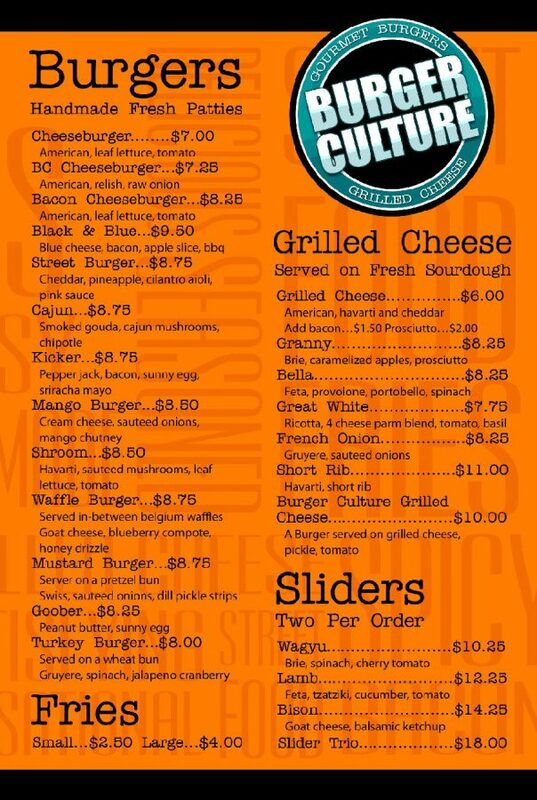 It’s been a little over 4 years since I last checked in to Burger Culture. Last time I saw them, they were part of the Mayor’s Food Truck Fiesta in Tampa, Florida. Now, they’ve got a permanent spot for Lunch & Dinner at a Harley Davidson complete with Tables, Chairs and most importantly a roof for those horrible Florida nights. The Menu has expanded to now include a bunch of Grilled Cheeses. We arrived about 30 minutes to closing time (around 9:30PM) and while I was aware of the additions I was hyper-focused on enjoying a Cheeseburger. My wife Marcela orders the Cheeseburger with LTO, my bud Colella orders a Grilled Cheese w/Prosciutto, Chunktronics opts to pick at everyone’s dishes. Me? I do the Double Cheeseburger with the Fresh Cuts and a Bacon Grilled Cheese. The Burger was just as I remembered, just a perfect little number that didn’t need anything other than Cheese. The seasoning gives it a distinct flavor that I’m still longing for. The fresh cut Fries were great too and the perfect partner to this Burger. What really caught me off guard was just how excellent the Grilled Cheese was and they didn’t skimp on the ingredients. Burger Culture really has a great one-two punch here with the Burgers & Grilled Cheeses and if you can fit them into your diet, the Fries. I’ll be back, this time sooner than 4 years.